Chad is a personal insurance specialist and has been leading the Sun Pacific team since 2007. He enjoys working with families to identify risk and help them decide how best to protect their personal wealth through insurance and/or self-insurance strategies. 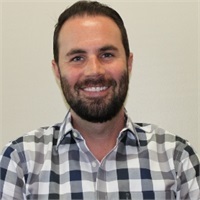 Since graduating from the University of Southern California in 2005, he has founded and sold two online businesses in the gluten-free niche and currently sits on the Board of Directors for the Celiac Disease Foundation. Chad is also an avid golfer, dog-lover, musician and Lakers, Angels and USC sports fan.